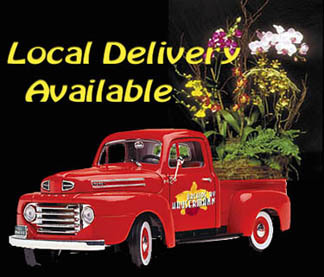 We can now make orchid gift deliveries to the greater Chicago area - up to 20 to 25 miles from our location in Villa Park, IL. Choose from a large selection of varieties as shown in our gift guide Our experienced staff can also create gift basket arrangements (see photo) where plants are arranged for effect in one basket. Deliveries are conducted Monday - Friday.